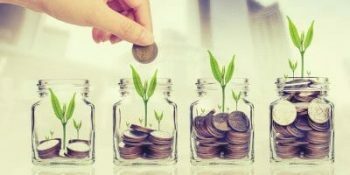 The objectives above are in the order of priorities which means the liquid fund should be looked for first as liquidity then return, similarly while investing into equity one should keep the capital appreciation as top priority even if it offers liquidity that automatically sets condition for long term investing. Let’s look at how as an investor we tend to behave. First of all people buy an endowment plan of life insurance which becomes a liability over next 15-20 years. The premiums are high for a miniscule life cover. To add to that the basic purpose of Insurance, i.e life cover is itself not served given the amount of cover it gives will not be sufficient to take care of the financial needs of dependents. Returns are so poor (6-7%) that I didn’t feel like putting it in the above table. Bank FD which is for a short to medium term objective we keep it for 5-10 years, where as its primary objective is to offer liquidity with moderate returns. But what we liquidate the first is ‘Equity’, which is a long term investment and may take longer to deliver. Now let us look at the returns part. Assuming that debt & FDs provide returns of 8-10% and Equity mutual fund will give 12% return, which is not a fair comparison in favour of equity funds because they have delivered much higher returns in the long run. The above table clearly suggests that when one is looking for returns, it’s the real return i.e. (Real Return= Return-tax-inflation). The table suggests that only equity has given positive real return over 10 years (other than income finds & tax free bands to a small extent). This does not mean that one should put all their money in equity. Equity also comes with slightly higher risk and a balance of risk & returns should be maintained. In addition the overall portfolio should be able to beat the inflation over longer period and for short term to medium term needs (read 1-3 years) liquidity should be the highest priority. In the above table the assumption for equity returns has been taken as very conservative. Over 10 years period one should expect 14-15% return from this asset class. But ‘Patience is the key’. Life is a marathon so is equity. Very often investors pull out money from equity or discontinue their SIPs after 2-3 years to fund their medium term needs and most of the time at a loss by not giving enough chance to the asset class which has a huge potential to deliver great returns over longer period because they can’t touch or STOP their endowment life policy and the FDs which is of longer tenure. If one sets the priorities right as mentioned in the table and align it to the financial goals, journey should be very happy and peaceful.